David has worked in Financial Services all of his working life. 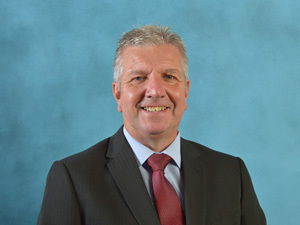 He started with TSB in Oxford and worked through many roles within the bank including Branch Inspector, Commercial Manger, Bank Manager and Area Customer Service Manager. In 1993 he moved to Taunton where he has been based ever since. David has worked as a financial consultant for Lloyds TSB, Birmingham Midshires and Legal & General. His priority has always been to provide first class customer service and sound professional advice for all financial needs and this fits perfectly with the Invest Southwest philosophy of Advice...For life. Financial planning is a daunting prospect for me and I found the advice and support from David to be professional, appropriate and tailored to my exact needs - Mrs C, Taunton.